This chapter reviews methods and techniques of digital reconstruction of disappeared architectural masterpieces. Through the overview of theoretical positions are explored heuristic values and communicative potentials of three-dimensional reconstruction, and prerogatives of animation in the interaction with three-dimensional data. Different critical approaches related to the architectures remained on paper are then brought to light. The examination of several case studies, also personally conducted, is extended to unbuilt architectures and minor architectures subject to demolition or transformation in order to highlight the different strategies used for the preservation of the memory of such heritage. Finally, the case study of Turin Horse-Racing Society Building by Carlo Mollino is extensively presented through the analysis of contemporary critical bibliography concerning the project, a description of archival sources and illustration of methods and techniques of the digital reconstruction. Throughout the twentieth century and even recently, contemporary buildings of great architectural value were demolished to thoughtlessly respond to economic interests or to carry out unconvincing wide-area plans. An innovative and low-cost way to conserve the memory of the original image of this lost architectural heritage is to provide to a reconstruction using digital technologies. The reconstruction, even philological, of disappeared architectures, can be realized through the re-drawing of the projectual materials - which can range between technical drawings in the scale of final or detailed design, part of facade, construction details, decorative elements, sketches, perspective views, maquettes - possibly supplemented by other documents, such as specifications, engagement letters, photographs and vintage postcards, magazine and newspaper articles. These latter, can enrich the mainly geometric data arising from technical drawings, and provide information on materials, colours, building techniques and characteristics of the surroundings. The first step is a severe analysis of all the preserved documentation that must have the objective to reach the authenticity of the original project. The examination of the drawings can often demonstrate the difference between the architect’s first ideas and the physical realization. This point puts the researcher in front of a choice: operating a reconstruction that will show the building how it was when it was standing or follow the reconstruction of the building how its designer supposed it during his creative act. For scholars and viewers reconstructive 3D modeling is a way to understand the object and the context in which it was built. Moreover, movies generated starting from 3D digital models, applied to the ‘re-built architectures’, are a powerful medium for exploring the relationship between the building and the environment, and verifying the perceptive quality of the virtual visit in space and time. The communication clearness and immediacy could be verified in this respect (Spallone, Lo Turco, Sanna, 2009). Additionally, the introduction of the time dimension to a certain extent, introduces a dynamic element in the representation and in the knowledge of its subject. While the representation that followed the ‘paper path’ refers to a precise moment in history, the representation that unfolds as a succession of images on the screen emerges as a becoming, a process. Finally, 4D representation could assume the task to document the researchers’ interpretation about the shape generation, the building technologies and phases, and the transformation over time. All these interpretations are based on the heuristic analysis of sources, data and surveys. The extreme care in implementing 3D reconstructions is the final result of a new attention paid by the stakeholders to the communicative potential of information technologies, both for the large audience and the narrow scientific community. It was required to the producers of the reconstructive models to adopt a language as simple as possible, with the aim to share the information and diffuse them in a readily understandable form to a wide-ranging spectrum of public. Thanks to these models, the era of graphic papers that only the specialists can decipher is probably over. 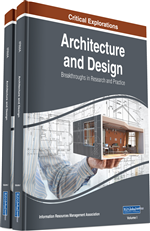 In this chapter are proposed methodologies and techniques that can actively contribute to widen the knowledge and the understanding of the architectural heritage and support its sharing, in the firm conviction that safeguard and fruition should go together. The case study that will be developed concerns an acknowledged masterpiece of modern architecture: the Turin Horse-Racing Society Building by Carlo Mollino, built in the Thirties and demolished in 1960. The complex developed around four stand-alone buildings was an original expression of a new language, achieved through volumetric parameters, decorative, colour, obtained from an unusual use of coating materials (enamelled bricks, ceramics, coloured gravel, plaster, diamond-point tiles). At present remain hundreds of original drawings of the building, a wooden maquette built later and about forty photographs and photo-montage made by the photograph Riccardo Moncalvo, kept at the Mollino Archive of Central Library of Architecture of Politecnico di Torino. Starting from these sources and materials a three-dimensional digital model, of the interior and exterior, inserted in a geometric model of the urban context in the Thirties, has been reconstructed.